Good food but a little slow on the service and it was not even busy. It was nice. The food was good but not great. My pasta didn't have enough sauce and some were dry when I got my food. 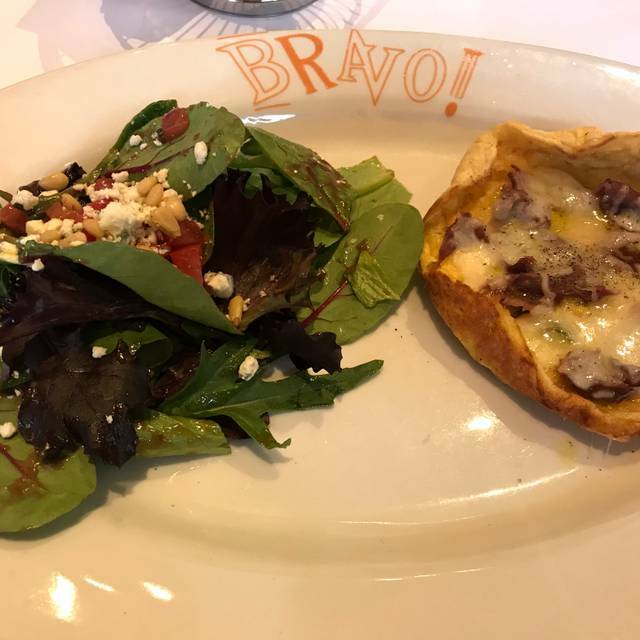 Bravo is always an excellent experience. I asked to have the table changed and you would have thought I wanted them to cut off their arm. Love how comfortable eating at Bravo’s is. The wait staff are attentive but not over intrusive. The food is outstanding and can’t wait to go again to try a different dish! This is a great spot for lunch or dinner! I love the Shrimp Napoli and the Chicken Meatballs. My server was nice and the hostess was friendly. They serve perfect Iced Tea, too! no atmosphere. prices were high. lobster bisque was excellent. The four of us had different entrees and we were all pleased. I don't think you can order anything that you wouldn't like at this restaurant. 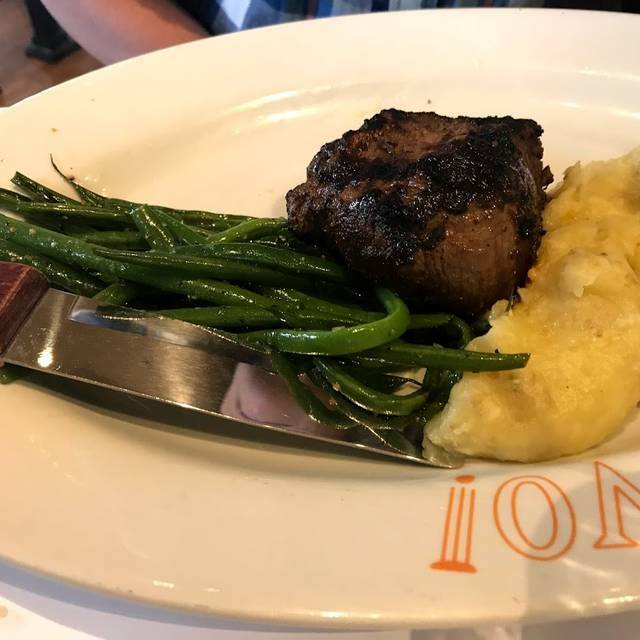 This was my first meal to Bravo. The service was friendly, quick and efficient; the food waa delicious and the prices reasonable. Planning to return. We had a great time. Our waiter was kind and helpful with the menu. Food and service both great. The only thing that can be improved is the portion. It is very small specially the Calamari and the Shrimp Scampi. My husband had to order another Calamari since there is only a handful in one order. We usually order just one but it is so small not even enough for one person. The shrimp scampi is good but again such small portion. Good thing I ordered the same as my husband and I had to give him some of mine specially the pasta part of the scampi. Great food and staff. Extremely friendly and accommodating. Will go back. I was somewhat disappointed in my latest visit here. The Eggplant Parmesan was not as tender as before. I was also disappointed that my preferred waiter was absent and the noise level was more than usual. Hopefully my next visit will be better. I have eaten at Bravos numerous time sine they opened. The service was poor. At times I have not enjoyed the food. This time the food was good. It service not so. We really like to spend our date nights here. We have never had a bad experience. Service was excellent and the hostess was warm and welcoming. The menu options are fairly varied (something for everyone), but everything we had failed to impress. The eggplant parmigiana was overly breaded, the pesto was bland and heavy on the pine nuts, the chicken scallopini lacked any hint of lemon or butter in the sauce, and the pomodoro sauce tasted like stewed tomatoes with no seasoning or herbs. The restaurant is bright and comfortable. Excellent service, waitress was great, super food. Love Bravo!!!!! Brandon in the bar is awesome!!!! Didn’t like the change in the sauce.the previous did not have onions. I do not eat onions & don’t like me in my sauce. Thank you! The server Abraham didn’t get my order correct. Corrected it & then there was a double charge on the bill. They corrected the bill, but it never should have happened this way. Food was very good. Dish I order many times (Caprese Chichen) was not prepared per menu. Disappointed. Would have sent back, but was going to Theater and limited on time. The service was great. The spinach artichoke dips was very good. The breads were good. My wife liked her lobster ravioli. I ordered the chicken scaloppini. The pesto past was great, mushrooms and capers tasted good. However, the chicken was very dry and not flavorful. Good food, good service. Was very busy when we were there on a Saturday evening, so a bit noisy. Food and service were excellent. The prices are reasonable, and the ambiance was relaxing. We were seated right away and the food came quickly. Recommend! Food and service very mediocre. I have been eating at Bravos since the week it opened. Used to be a favorite of myself, grandchildren and friends. Not a big fan of the new menu. Stopped in for an early NYE dinner and a birthday celebration. Table was ready and waiting for us. Good menu, priced well for what you got. Drinks priced OK, but at least the bartender wasn't afraid of putting alcohol in them. Service was on point, drink glasses always topped off. Food was hot when it arrived. Had a wonderful dinner with family. Had excellent service and food was great. 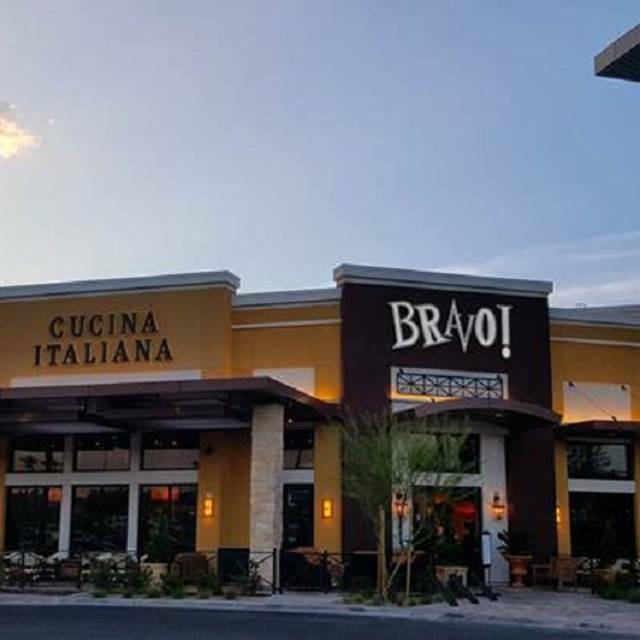 Bravo is one of our favorite local spots for dinner, especially when the weather is nice for patio seating. It is good all year long, though! Food and service ALWAYS great and consistently good! Bustling environment. Hard to chat with friends, but the service was pleasant enough and the food was fine. Appreciative of the kitchen's willingness to modify for food allergies. Good food, reasonable prices, nice service and atmosphere-thanks! 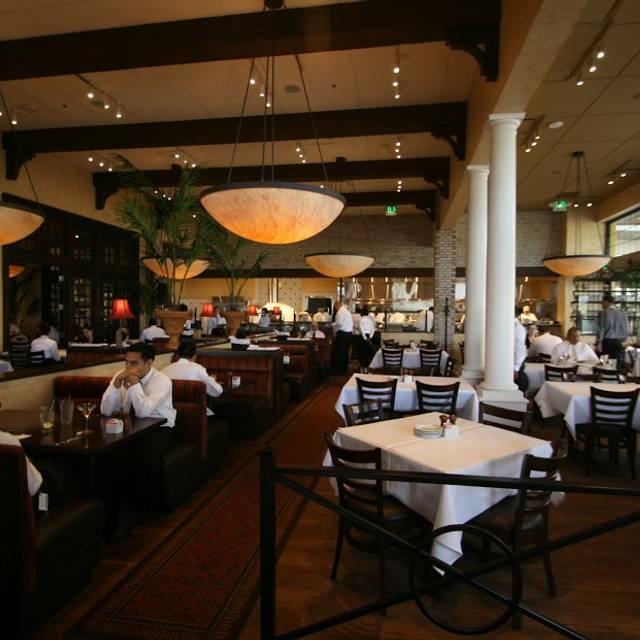 Bravo has never disappointed in the many times we have dined there. Very disappointed in visit to Bravo . Saw the new meatball sandwich advertised on the Internet. The sandwich I got barely resembled the picture. The Neapolitan bread was flat and contained one meatball cut in half ery little cheese. The salad did not taste that fresh. Hard to find a nice Italian restaurant in this area. Calamari was in strips, not great. Grilled Salmon was charred and dry. 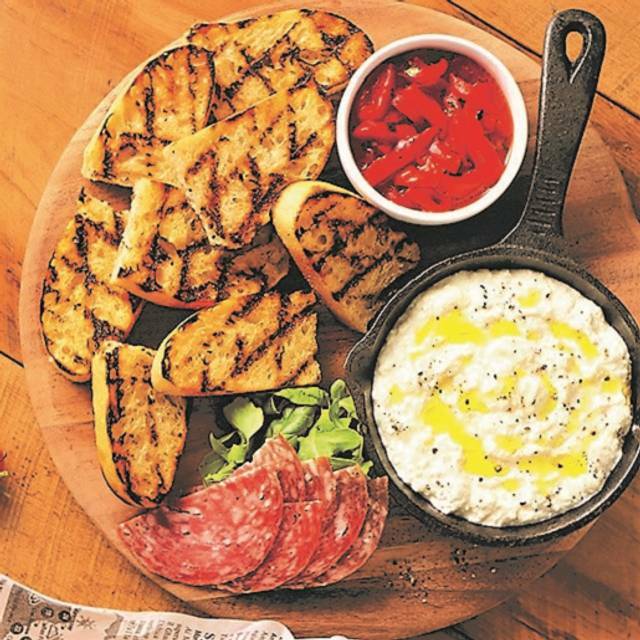 Table bread was ok with their roasted pepper dip. I would have preferred oil and balsamic. This restaurant is just okay. Excellent food, service and ambiance. 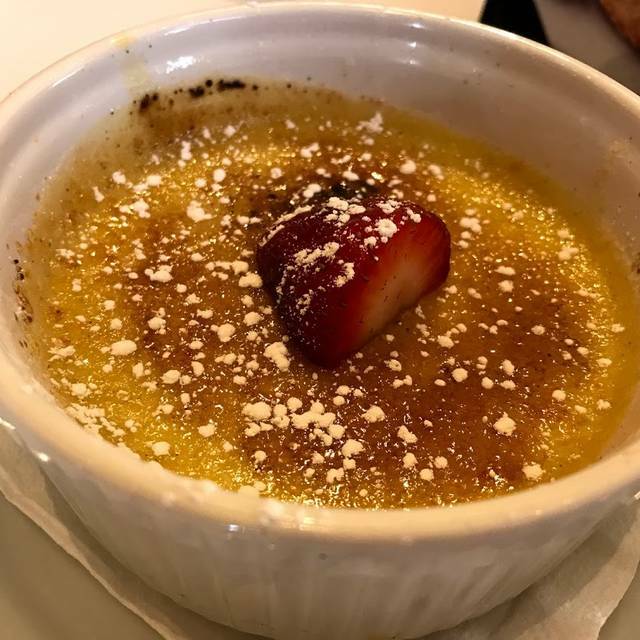 Consistently good food and service!